Recent research revealed that traditional telephone and direct mail marketing can actually provide better results in certain cases than more modern digital channels. This was one of the intriguing findings of a Direct Marketing Association report on response rates. While it also indicated that digital marketing methods ultimately delivered a higher return on investment, the results clearly demonstrated that old-school tactics remained extremely effective ways to communicate with consumers. AdAge.com provided more details from the direct marketing report. According to the report, direct mail marketing was 10 to 30 times more effective than email and similar digital channels. While direct mail response rates may have fallen slightly over the last decade, they have stayed relatively stable since 2010 and continued to be much higher than digital response rates. The response rates and conversion rates for both internet display ads and paid search campaigns were also extremely low. While these traditional direct marketing methods proved their enduring effectiveness in terms of response, the report also indicated that digital channels provided a greater return on investment. For example, the report showed an ROI of $28.50 in sales for every dollar of email marketing, compared to an ROI of only one dollar for every dollar spent on telephone marketing. This impressive ROI has been driving the popularity of email marketing, with 83 percent of respondents engaging in email campaigns. 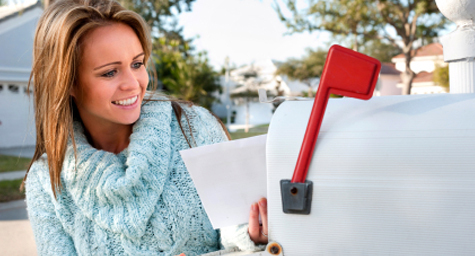 Still, the use of direct mail marketing followed closely behind with 79 percent of marketers using this tried-and-true tactic. To discover creative ways to use direct mail marketing to increase sales and marketing ROI, contact MDG Advertising today at 561-338-7797, or visit mdgadvertising.com. MDG Advertising, a full-service Florida advertising agency with offices in Boca Raton and New York, NY, specializes in developing targeted Internet marketing solutions, exceptional creative executions and solid branding and media buying strategies that give clients a competitive advantage. Our core capabilities include branding, logo design, creative, digital marketing, print advertising, direct mail marketing, media planning and buying, TV and radio, Web design and development, email marketing, social media marketing and SEO.